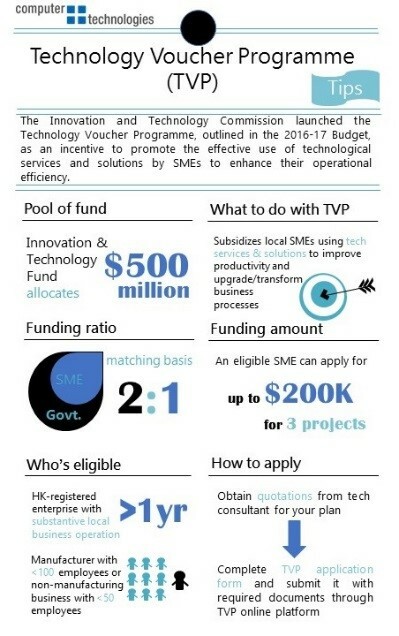 The Technology Voucher Programme (TVP) was launched recently by the Innovation and Technology Commission to help small and medium enterprises (SMEs) enhance their operational efficiency. Covered by TVP in the category of Document Management and Mobile Access System, C&T’s flagship software VITOVA EIM is ready to assist SMEs in turning the HK$200,000 TVP subsidy into productivity improvement or business process upgrading or transformation through a well-established EIM suite that connects enterprises to business-critical information with enhanced data matching and search efficiency. The TVP is a pilot scheme outlined earlier in the 2016-17 Budget. A fund of HK$500 million is allocated from the Innovation and Technology Fund to promote the effective use of technological services and solutions by SMEs to enhance their operational efficiency. Each eligible enterprise is entitled funding of up to HK$200,000 from the total approved project cost in cash. An enterprise-class web-based document management solution (DMS) that centralizes all enterprise information into a single repository for easy management and knowledge sharing. Its iPad module allows users to break the geographic limitation to access up-to-date documents through an iPad. A departmental e-filing solution that scans paper documents into electronic file cabinets for easy management and fast retrieval. A business process management solution (BPMS) for enterprises to automate business processes in order to accelerate task completion, and thus manage daily operations transparently. A data capture solution (DCS) that turns vast information into business-ready data and delivers them to other third-party systems for managing document-driven business processes efficiently and productively. 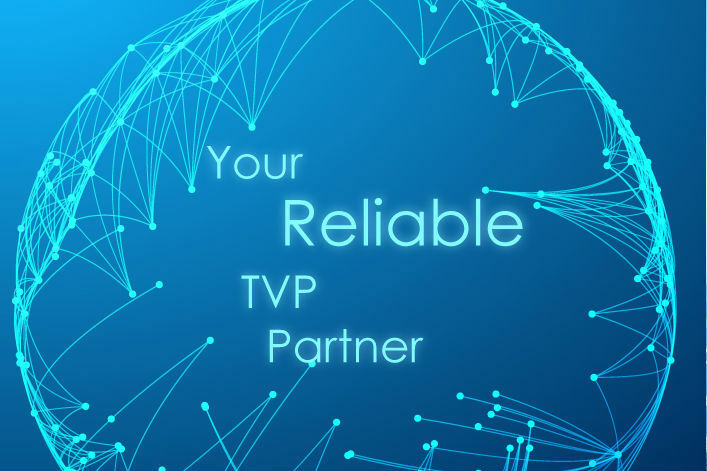 TVP is now open for application. SMEs could make use of the HK$200,000 subsidy through digitalizing or upgrading their data management process with VITOVA EIM’s suite of products that cater for the specific needs of each business.